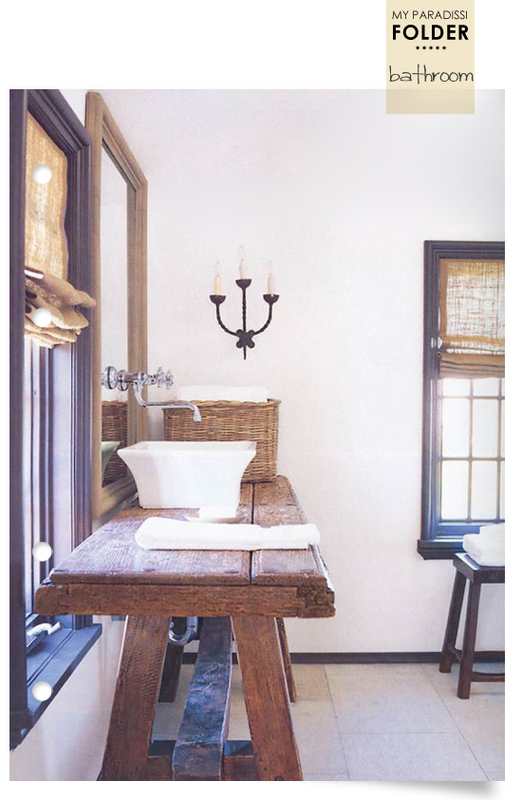 What do you think of this old, reclaimed workbench serving as a bathroom sink vanity? Looks so sophisticated rustic, I can't help but love it! Image via McAlpine Tankersley Architecture. It looks indeed sophisticated and stylish. Very presentable to look at.